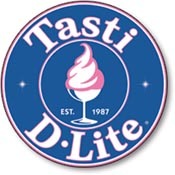 I've never had Tasti D-Lite. Anyone out there try it before and want to chime in on whether it's actually 'tasti' or not? Our first location is going to be opening in the Spring and it's coming to Newbury Street. There's no turning back now (we hope): Tasti will move into 205 Newbury Street in March, operated by an entrepreneurial husband-wife team based out of suburban Lancaster. But wait ... that's not all! There's also plans in the works to open three other Tasti branches in the area, too. The second location will open late next year. And, may we remind you, the treats only have about 80 calories and a mere three grams of fat. D-liteful. Now that we've got Pinkberry, Red Mango, and the independents - Tasti is going to be in for some stiff competition. Click (here) for the GrubStreet article. 1 Response to "Tasti D-Lite Coming to Newbury Street in March"
As an ex NYC girl, I LOVE Tasti-D! It's been one of the only things missing from my 10 years in Boston, and I cannot wait. It's fabulous stuff, and anyone who likes soft serve ice cream should be totally happy with it, unlike pinkberry and others which only those who like the tang of yogurt enjoy.